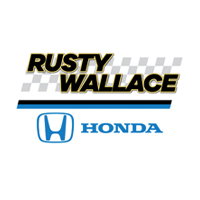 At Rusty Wallace Honda, we have a strong and committed TEAM with years of experience. We take great pride in serving East Tennessee and we want your sales and service experience to be rewarding and beneficial. Please Feel free to browse our inventory online, request more information about vehicles, set up a test drive or inquire about financing! If you don’t see what you are looking for, click on vehicle finder service, fill out the form, and we will let you know when vehicles arrive that match your search! Or if you would rather discuss your options with our friendly sales staff, click on contact us for interactive driving directions and other contact information. At Rusty Wallace Honda, our highly qualified technicians are ready to provide exceptional service in a timely manner. We are dedicated to maintaining great customer service, for both new and pre-owned cars. Call or setup an appointment online.